The medieval town of Malbork, perhaps better known by the German name of Marienburg, is most well-known for its castle, which was ordered built in the 13th century by the Knights of the Teutonic Order as their headquarters, Europe’s largest Gothic fortress is named after the Virgin Mary, the patron saint of the city and castle. The castle is actually three castles, making it the world’s largest brick castle. It took 230 years to build the castle, a majority of which was destroyed during World War II. Much of the castle has been restored since then. Lublin, located east of the Vistula, is another ancient city with a market place that may have dated back to the sixth century. Because it is located on Poland’s eastern border, it became, early on, a line of defense against various invaders that destroyed the city over the centuries. It also was home to one of the largest Jewish communities in Poland. Evidence of Lublin connecting Western and Eastern cultures can be found at the Holy Trinity Chapel that blends Catholic and Russian-Byzantine styles. But don’t be fooled by the cobblestone streets and medieval architecture of the Old Town, as it boasts a lively arts and nightclub scene. The Bialowieza Forest is a large remnant of the primeval forests that once covered much of Europe. The forest straddles the border between Poland and the Republic of Belarus, and there are border crossings for tourists on foot or on bicycles. The Bialowieza Forest is the only place where European Bison still remain free and living in the forest as they once did throughout Europe. Wolves, Lynx, Red Deer, Wild Boar, Elk and Roe Deer are among its other inhabitants. While the bison are kept within fenced areas, guided tours are available either on foot or in horse-drawn carriages. Torun, located on the Vistula River, is best known, perhaps, as the birthplace of Copernicus, but it’s just as well known for its old market place and Gothic town hall that the National Geographic Polska put on its list of the 30 most beautiful places in the world. As Torun escaped bombing during World War II, the city still boasts numerous buildings that date back to the Middle Ages. Construction on the town hall started in the 13th century, with many churches, including the Cathedral of SS. John the Evangelist and John the Baptist, dating back to the 14th century. This church is a must-see for travelers interested in Gothic paintings and sculptures, and Baroque altars. Travelers who crave scenic beauty will find it in Tatra National Park, located in southcentral Poland. Established in 1954, the park is mainly forests, meadows and numerous rock formations covering the Tatra Mountains. 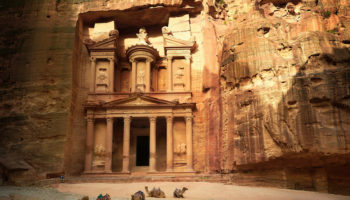 Spelunkers may enjoy touring six of the park’s 650 caves that are open to the public. The park also offers more than 30 alpine lakes as well as the Wielka Siklawa waterfall that is 70 meters (230 feet) high. Tatra, the most visited national park in Poland, will delight hikers with its 270 km (170 miles) of trails. There is a similar national park in the neighboring part of Slovakia, also called the Tatra National Park. 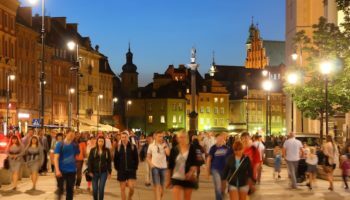 Student travelers wanting to meet their Polish peers might want to visit Poznan, long known as an academic center and home to Poland’s third largest university. The city hosts many international events, including the Malta International Theatre Festival that takes place every summer. Major sites are easily accessible by strolling the Royal-Imperial Route, a walk set up especially for tourists. Athletes may enjoy a visit to the artificial lake of Malta, home to a ski slope, ice rink, and swimming pools. Located on the Oder River, Wroclaw is the largest city in western Poland. Over the centuries it has been governed by Prussia, Poland, Germany and Bohemia, but has been part of Poland since 1945. The former capital of Silesia is still less well-known as some of the other places to visit in Poland but can definitely compete when it comes to amazing architecture. 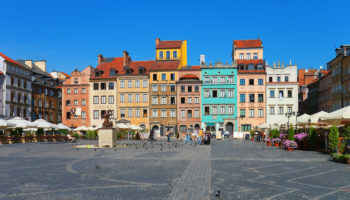 Main attractions include the market square and the impressive Old Town Hall, St, Elizabeth’s Church with its observation deck overlooking the city, and the largest zoo in Poland. Sailing on the Oder River is a relaxing way to get a feel for this medieval city. 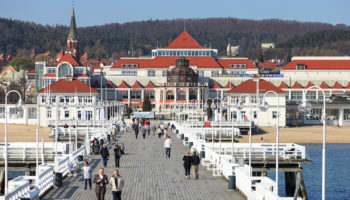 Also known as Danzig, Gdansk is the largest city in northern Poland and its main seaport since it lies on the Baltic Sea. 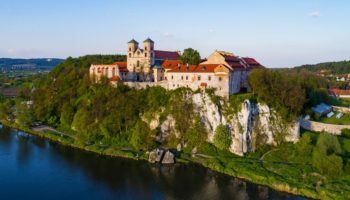 Founded around the 10th century, it has a mixed political history; at different times it belonged to Germany and Poland, and was a free state before permanently becoming a part of Poland after World War II. 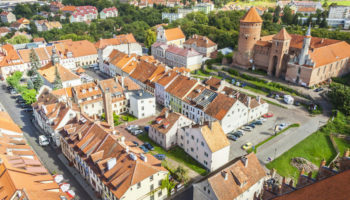 The city rebuilt itself after the war, restoring its Old Town, which is famous for the Royal Road that Polish kings traveled on when visiting this historical city. The city also is home to St. Mary church, the largest brick church in the world. The capital of Poland might aptly be compared to a Phoenix rising from the ashes. Founded around the 12th century, Warsaw was pretty much destroyed during World War II, but has rebuilt itself into a thriving historical and cultural center, complete with a restored Old Town. 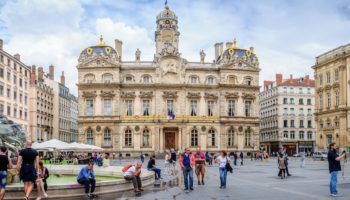 Once known as the “Paris of the North,” it also is famous as the home of classical composer Fryderyk Chopin. Travelers of all ages will enjoy a visit to the Copernicus Science Center where hands-on activities abound. Krakow might be described as a rags to riches city, since it went from being a seventh century village to the second most important city in Poland, being known for its cultural, artistic, academic and economic activities. During World War II, the Nazis herded Jews into the Krakow Ghetto where they were later sent to concentration camps; the movie Schindler’s List centered around one man’s efforts to save the ghetto residents from extermination. Located on the Vistula River, this former Polish capital is easy to get around, since attractions radiate out from Old Town, considered the best Old Town in the country. Which destination do you consider the best place to visit in Poland? Thera are many interesting places in Poland. For example last year I was on Hel. 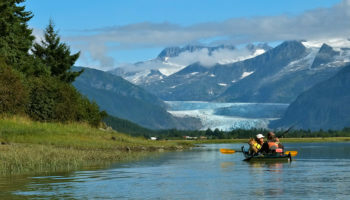 Hel is a charming town, with fishing port and the biggest attraction of this place the Seal Sanctuary. I spent there 2 weeks and really rested and i met many new friends. 1. Copernicus was not a citizen of Warsaw. 2. Only the Jews were forced to live in Krakow Ghetto. I would also add Szczecin to the list. It’s a really great place to visit. I specially recommend Waly Chrobrego. Try to go there when You’re in Poland. I’ve been there few month’s ago in Dana Hotel. Do not miss this city. Try to read something about it. Pretty good text but totally forgets that Poznan and area around Poznan it’s a birthplace of Poland! Therefore in Poznan you will find many places connected with beginnings of Polish State. It’s also the only city mentioned in Polish National Anthem.